Music Production Theory, Engineering Logic Pro X, FL Studio . In ONE course, I'll teach you Linux, Oracle, AWS and Ansible from scratch - To help you become a PAID SENIOR SYSADMIN. Pathfinder is a new evacuation simulator. 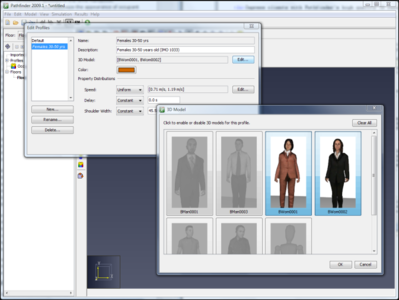 Unlike flow-based or cell-based models, Pathfinder uses techniques from current computer science research to model the movement of individuals, building on technology used in the gaming and computer graphics industries. Pathfinder provides the tools necessary to make confident decisions regarding building layout and fire protection system design.Multiple simulation modes and customizable occupant properties let you easily explore different scenarios, allowing calculation of conservative and optimistic bounds on expected evacuation times. Pathfinder is an agent-based simulator ? each occupant uses a set of individual parameters and makes decisions independently throughout the course of the simulation. In addition to an advanced pedestrian movement simulator, Pathfinder includes an integrated user interface and 3D results visualization. Pathfinder allows you to evaluate evacuation models more quickly and produce more realistic graphics than with other simulators.